Here’s a Sneak Peek of the Cream Top Shop. 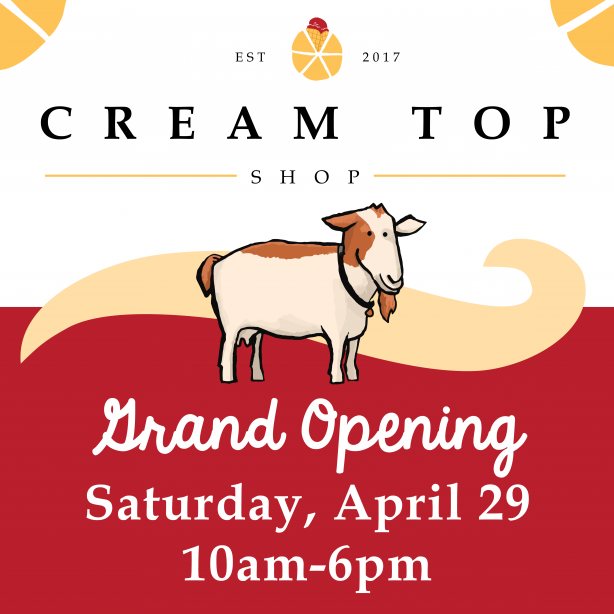 Join Zingerman’s Creamery for the Grand Opening! Even our front door got a re-boot! 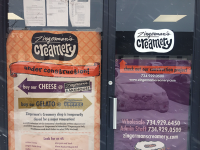 After nine months of renovations, Zingerman’s Creamery is set to open a new retail space, the Cream Top Shop. We are so excited, and we’re looking forward to welcoming you to our new digs at our all-day Grand Opening party on Saturday, April 29 from 10 am to 6 pm. 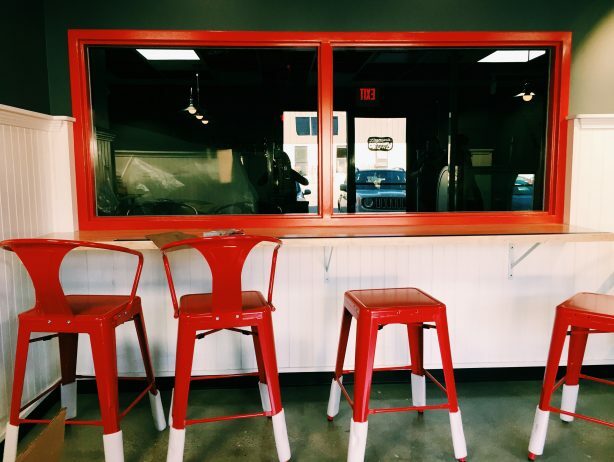 There will be tours, tastings, and even prizes! It’s so close, but we cannot wait. We hope you’ll stop in! In the meantime, we wanted to give you a sneak peek of what we’ve been up to. 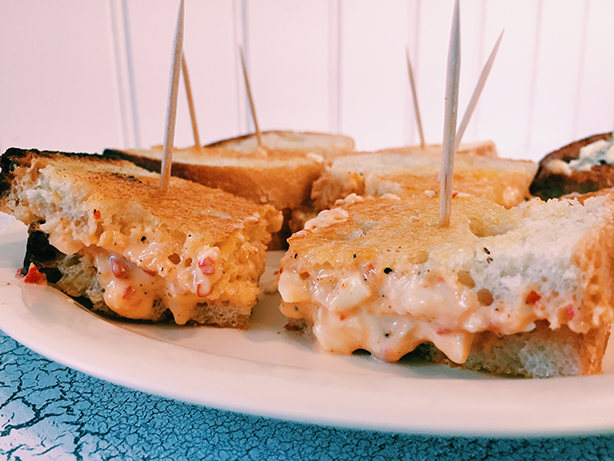 We’ve been testing recipes, like our grilled sandwiches—the one above is pimento cheese on Zingerman’s Bakehouse Rustic Italian bread. 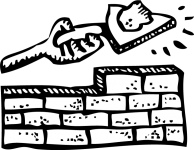 We’ll have a full menu of sandwiches featuring Zingerman’s Creamery cheese, and we’ll also be serving Munchables, our name for our customized snack trays that we fill up with cheese, bread or crackers, and your choice of other delicious things, like nuts, dried fruit, and cornichons to name a few. 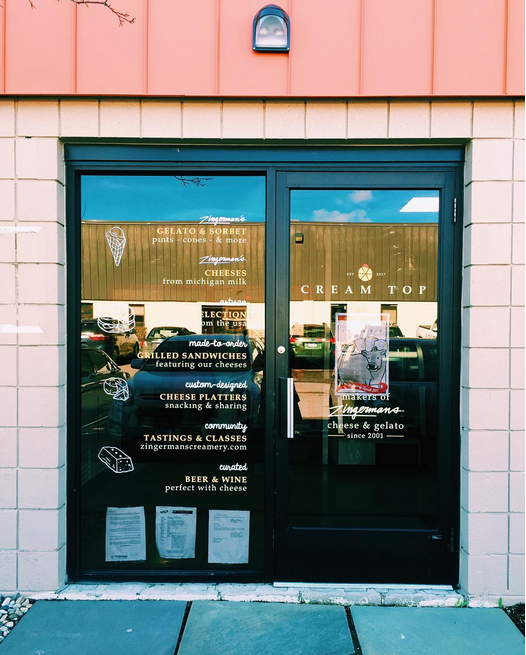 “Make the Cream Top Shop, home of Zingerman’s Creamery your new lunch destination!” says Aubrey Thomason, Managing Partner of Zingerman’s Creamery. 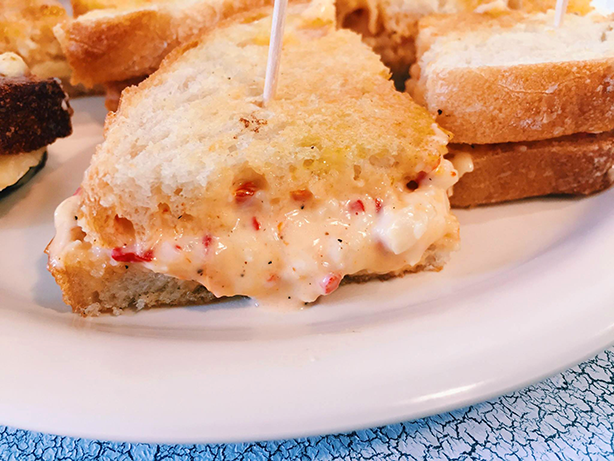 In addition to our own award-winning cheese, we’ll also be selling our favorites from other (almost) exclusively American artisan producers like us. 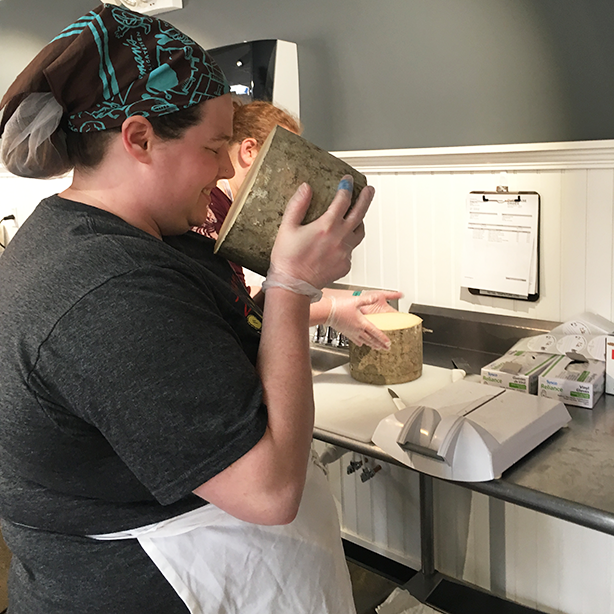 Here’s Tessie enjoying a whiff of a freshly cut half wheel of Flory’s Truckle Cheddar from Milton Creamery! We’re pretty excited about our new look, too. 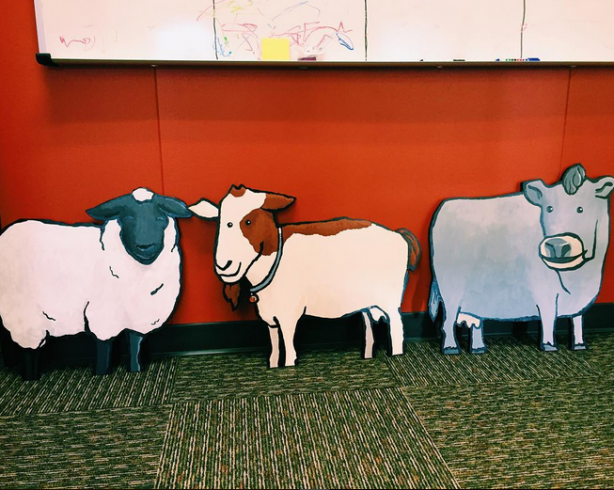 The cows were created by hand by our in-house illustrator Ryan Stiner and will be proudly displayed in the shop very soon, and how about those red stools? They’ll be available for guests who’d like to eat in (along with seating in our brand new tasting room), and they look right into our new production space—we’ll keep the lights on during the day, so you can see us in action. 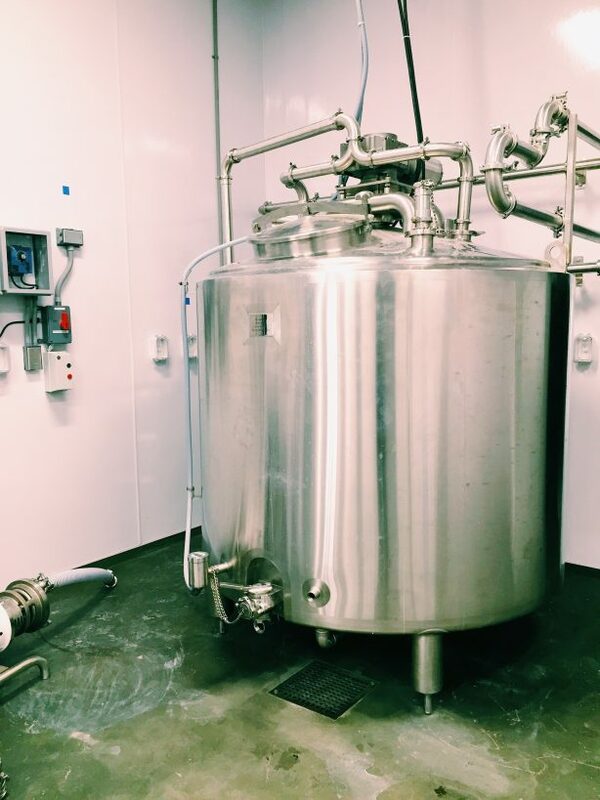 Speaking of production, our equipment is shiny and ready to go. 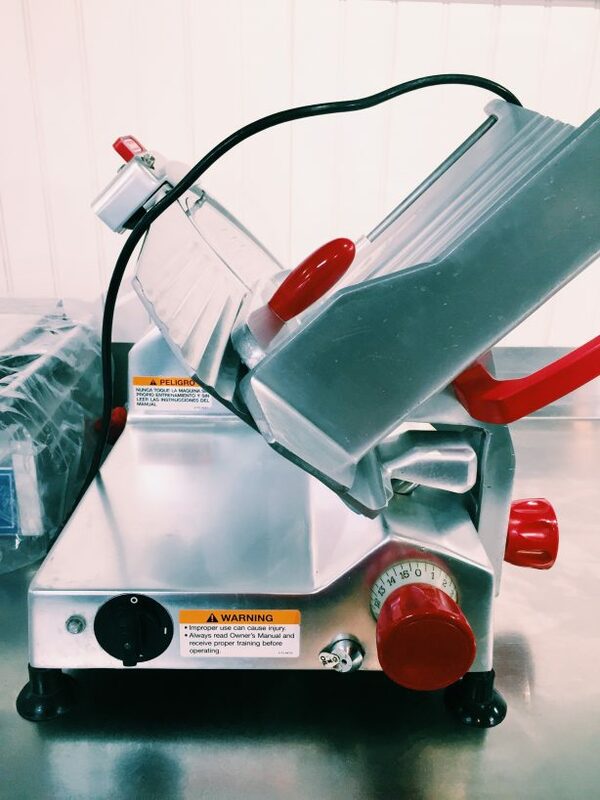 We’re already making our fantastic cheese and gelato. All that’s missing is you, and we’re counting the days. See you at the Grand Opening!